Tips and Trick on how to Prep your gardens for winter with these 10 Fall Garden Clean-Up Tips. This year’s gardening season may be in the books, but there is one last thing you should do before winter arrives. Your lawn, garden and flower beds all need a good clean-up so they can be put to bed for the winter. Weeding, removing plants and flowers as well as debris is an important step to ensure that your gardens will thrive in the coming spring. Here are my 10 Fall Garden Clean-Up Tips you should do now. 1. Rake the leaves on your lawn. This will allow your lawn to breathe by not being weighed down by heavy, wet leaves. Not picking up your leaves could also promote disease growth in your yard, which could also spread to your flower beds or vegetable garden. Raking and bagging your leaves now will save time come spring when you are ready to dig in and start your spring planting. 2. Fertilize lawn. You should fertilize your lawn once between mid-September and early October. It’s a great way to recharge your lawn after a long summer. Fertilizing will help the roots thrive better in the spring. 3. Weed. Weeding is my least favorite gardening chore but it must be done, even in the fall. 4. Clean Out Garden & Beds – Pull out annuals and any non-perennial plants in your vegetable garden and flower beds. Leaving non-perennials intact could cause disease to spread. Removing them prevent disease and get your started off on the right foot come spring. Make sure you either bag the plants or dispose of them in an area of your yard that is away from any gardens (so disease can’t spread come spring). 5. Plant spring bulbs & winter pansies – Fall is the time when spring bulbs need to be planted. I love the first flowers of spring. Bulbs should be planted six inches deep when the ground is colder. You can click on this link to read my post about Spring Bulb Planting Tips. Winter pansies are perfect to plant in the fall because they “winter over” and come back in the spring as well. 6. Divide Overgrown Perennials – Fall is a perfect time to divide and replant any perennials that are getting too large. Dividing them is also a great way to save money by not having to purchase more come spring. Make sure you water them after they are replanted. 7. Cut Back Perennials & Bushes – Cut back any perennials (except the fall-blooming varieties, like mums and Montauk daisies) and bushes such as roses and hydrangeas. 8. Reseed Lawn If Necessary – If your lawn has bare spots or is in need of freshening up, then you should reseed your lawn in early fall. It’s important to reseed earlier in the fall so their grass seed can take hold and establish itself before winter. Before reseeding, you may need to level ground and add topsoil to any uneven areas or holes. 9. Clean & Store Pots & Planters – Wash out any pot or container you used for a planter. Store away in a shed or sheltered area to protect from the winter environment. This will save money in the spring because the planter will be in good shape. 10. Clean & Store Grill & Patio Furniture – If you are not going to use your grill or patio furniture during the winter, clean them up and store them so they will be protected from the harsh winter elements. This will save on the wear and tear. Have you completed your fall clean-up yet? 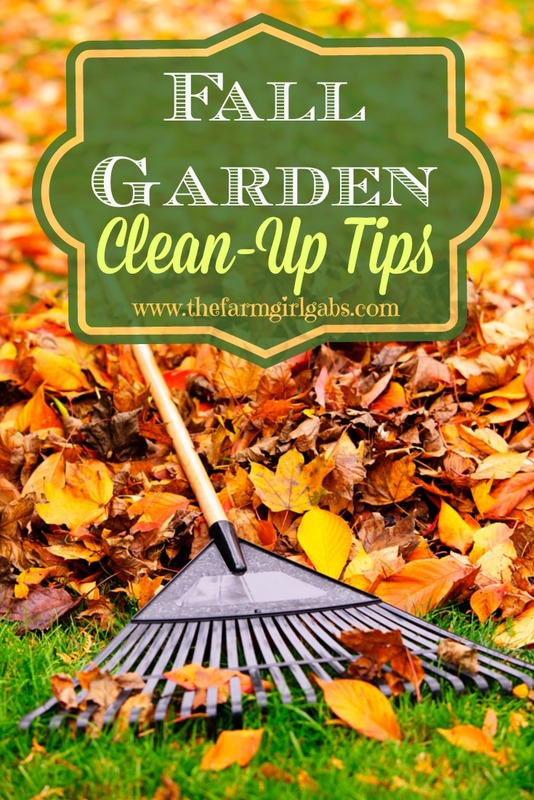 I hope these 10 Fall Garden Clean-up tips will help you along the way. Giving your gardens a little TLC now will help them thrive come spring and summer, so dig in and get dirty! Happy gardening! 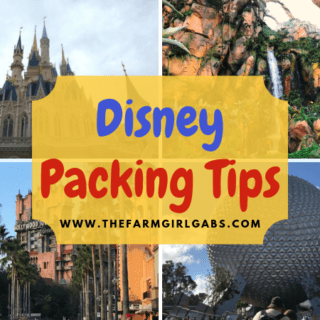 For more gardening tips from The Farm Girl Gabs, you can check out my recent gardening posts by clicking on this link. I need to get moving with cleaning our yard up for fall. Especially cleaning our grill! Thank you for great list! I need to do ALL of these. I just need another 20 hours in the day. I’m so glad I read this. I really want to start a garden this Spring, so I need to keep all of these things in mind. I’ll be pinning! Thanks for making my HONEY DO list for me! So helpful! Such great tips! 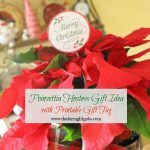 Thank you for sharing them at Merry Monday Link Party! We need to do all of the things you’ve mentioned. We are waiting for all the leaves to fall before we tackle this dreaded fall chore.